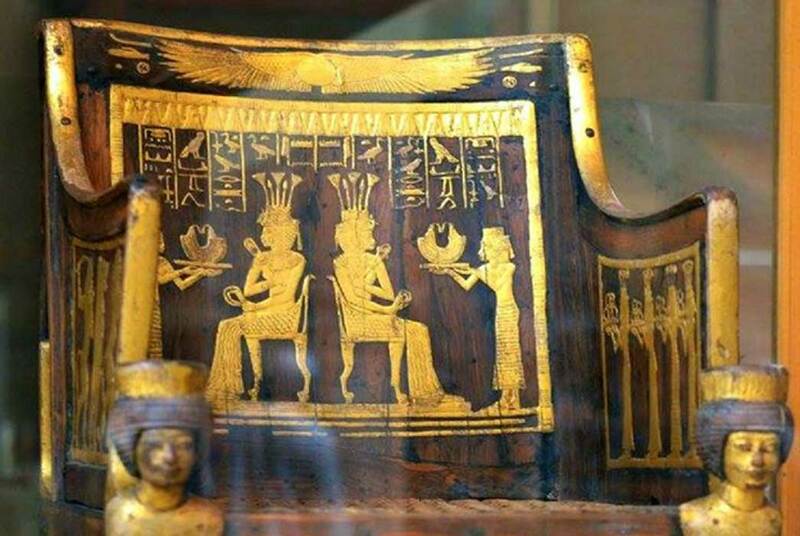 With their daughter, Tiye, married into the powerful ruling family of Egypt, Yuya and Tjuyu led a charmed life. With strong ties to their hometown Akhmin, Yuya seems to have participated actively in affairs of state – guiding the young Amenhotep III as he learned the ropes – with the consent of his purported sister, Mutemwiya. In admiration of the immense contributions of Yuya and Tjuyu, their grateful son-in-law prepared a sumptuously-stocked tomb in the sacred Valley of the Kings. However, grave robbers plundered KV46 on more than one occasion. 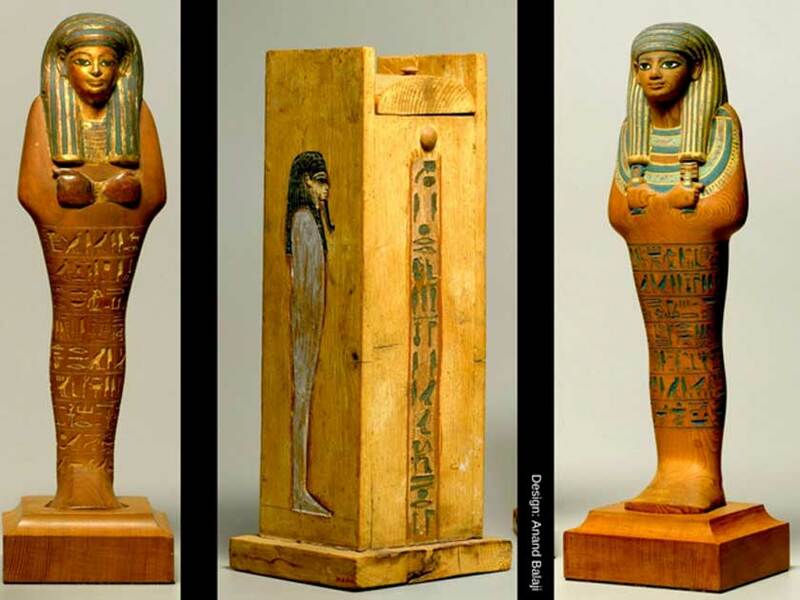 These superb, partially gilded and painted cedar shabtis of Yuya, father-in-law of Amenhotep III, were discovered during excavations by Quibell and Weigall in 1905. (Center) Shabti box of Yuya. Metropolitan Museum of Art, New York.